The smell of books lofts through the air, rapid typing emanates from laptop keyboards and students keep their noses buried in pages of notes while they study for their next big exam. The quiet lull of students trying to keep their grades afloat is quite peaceful compared to another spot in the library where all the chatter bugs convene: the basement. During my first two years of college, I didn’t spend much time in the library outside of dead week. Even then, I never left the basement, possibly the single noisiest spot on campus. While the basement of the library is great for group projects and study groups, it is extremely distracting when you are trying to focus on what you are working on. 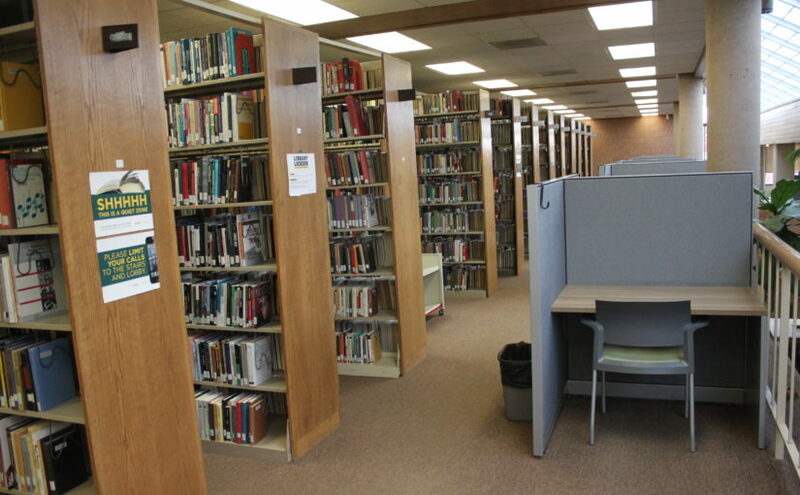 For students that want a more serene study environment, the quiet area of the library is located on the second floor and consists of rows and rows of books and an appreciated silence. The hustle and bustle of noisy groups is nonexistent in the upper level of the library, and that little aspect alone makes it a godsend for cram sessions. On the second floor of the library, you can find comfy pods, bright window seats and little cubicles. There are study spots for every type of student. Alissa Ningen, an NDSU alumna who now teaches fourth grade at L.E. Berger Elementary, spoke about how much she wishes she would have taken advantage of the little nooks and crannies on campus that allow for great studying. Studying can sometimes be a bore, and therefore the fun environment of the basement makes it hard to resist the noise. Although it may not be filled with chatter and groups of your friends, the quiet level in the library creates a fantastic vibe for completing assignments and feeling motivated to study instead of procrastinating.